He loves Mexican food, sports, taking pictures of landscapes and macaws. During our life we visit several places; some of them are more important for us than others, but there is always one that leaves a mark on you. Sometimes, it looks like we have a magical connection with that site… Usually, we don’t know why we just know that being there make us happy. 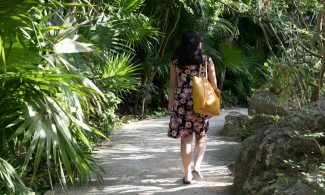 In the following lines, I will tell you my story about how Xcaret turned to be my special place. I still remember my first visit, a little bit less than ten years ago. Xcaret is a site where the magic begins even before stepping into the park; that was the feeling I had while my uncle, who guided us in that first adventure, was saying jokes and comments that were increasing my already big expectations instead of spoiling them. The excitement grows after walking a few meters into the park and admiring the facilities and the macaws that welcome you. ; since that moment, I felt that, in Xcaret, happiness is in the air. The joy was rising after making the first activities, always knowing that a magnificent day was starting. 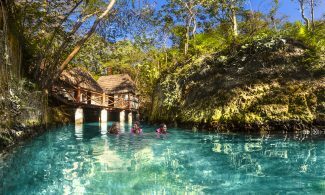 From the Underground River to the Mayan Town, the park started to create priceless memories for me. During this adventure, I found myself surrounded by an unusual mix of nature, beautiful landscapes, colorful animals, delicious food and a majestic culture. Since then, I have visited Xcaret several times, so many that I lost the count; however, my admiration and affection for the park is still intact. Just shortly before the sunset, the beautiful cultures of Mexico start making their stellar apparition; you will see this with several shows that build a great atmosphere to close the day with the best of Xcaret: México Espectacular, the main show. Those two hours, for me, meant a special and unique contact with my land and my origins; it was merely something that makes me proud and fills up my body with emotions. The truth is that I have never seen a show like this. While I am seated in that grand theater, I remember some traditional songs my grandma sing, some memories come back to life, and my mind travels to other places in Mexico. I will not lie, this particular feeling deserves a separate article, the only thing I can tell you is that, at the end of the night, I just want to shout -Viva México-. You may also like Everything you should know about Xcaret México Espectacular Show. 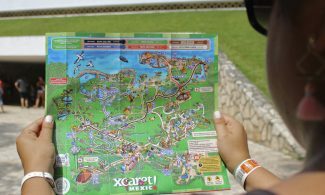 Xcaret is a spacious park with many hidden particular spots that will make you feel the best experiences. In my experience, most of them amaze you with their natural beauty; other more will fill you up with peace, and in some others, you will find the perfect moment to be with your loved ones. After so many years and visits, I can feel these places belong to me, at least for a short time. They are places with a special vibe; it is like some magic that attracts me and invites me to come back. 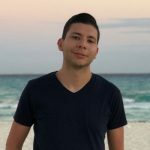 I know that the Mayan Riviera has many other wonders, but I also know that I can forget everything when I visit Xcaret because the only important thing here is to enjoy the life and immerse in that special vibe that only this place has. You may also like: 10 emblematic spots to take photos in Xcaret. You will enjoy the park even more if you have company. During all this time I have gone with family, good friends, my girlfriend, and even people whom I shortly knew. I always go back because I trust it; I trust the people who give it life day by day, and I trust my companions will have a unique and unforgettable experience. As I said, Xcaret is the perfect foundation to build great memories; but is also the perfect place to share my land, culture, and traditions. Here I found the ideal place to show and explain to my foreigner friends how wonderful and colorful Mexico is; how spectacular my Mexico is. My destiny took me recently to explore new places; now is not that easy for me to visit the park. 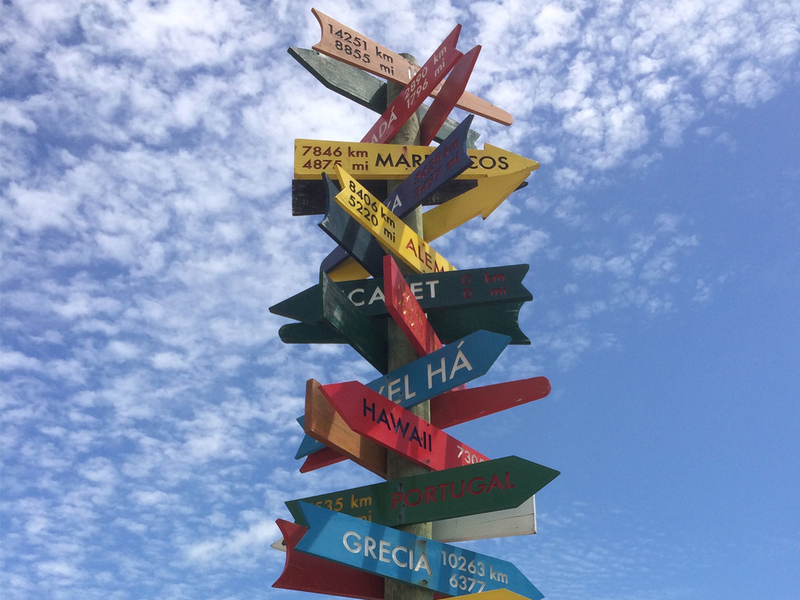 However, I know I will go back several times; I know I will go full of joy and I am pretty sure Xcaret will be there for me, with open arms, just like the first time. Now let me know your experience! How was your first time in the park? What are your favorite things and what inspires you to go back? Me encanta todo de este parque,es unico!